Leading Mozart specialist Mario Bernardi returns to The Royal Conservatory, after successfully launching the 2008/2009 season with a sold out concert in September, to conduct Wolfgang Amadeus Mozart's darkly comic opera masterpiece Così fan tutte. The performances run from April 2-7, and admission is free. 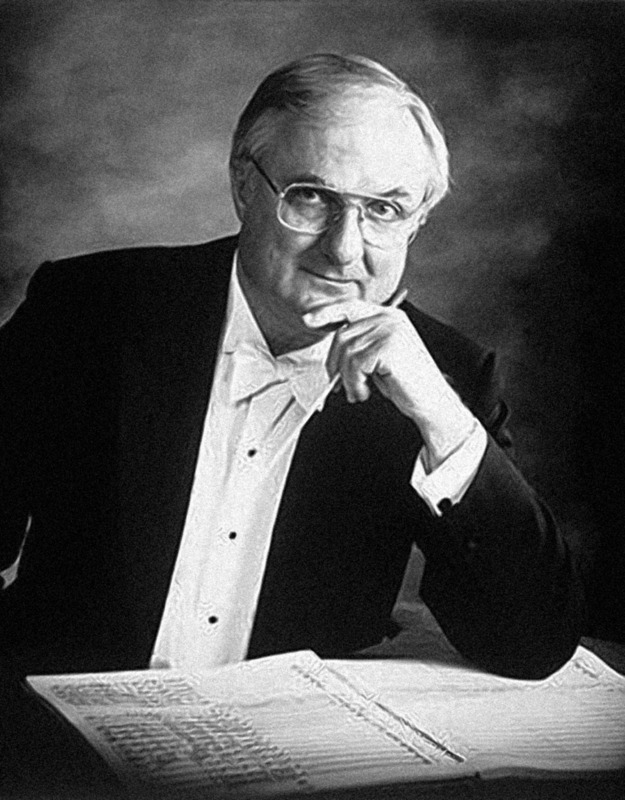 Mario Bernardi's career as a conductor began in 1953 with the Royal Conservatory Opera School and went on become one of the most outstanding Canadian conductors of his generation. He was the first conductor of the National Arts Centre Orchestra in Ottawa, took over the CBC Vancouver Orchestra from John Eliot Gardiner, and became the first music director of the Calgary Philharmonic. Despite his busy schedule he continued to appear as guest conductor, particularly of operas, with such companies as the Canadian Opera Company, Chicago Lyric Opera, San Francisco Opera, New York City Opera, Houston Grand Opera, Metropolitan Opera, and the English National Opera. Bernardi was made a Companion of the Order of Canada in 1972, received the Canadian Music Council medal in 1981, and has won two Juno awards. In sharp contrast to the world premiere of the modern score of Pandora's Locker in December, Così fan tutte will be an offering in lush classical music. The cast will be in elaborate costumes, generously on loan from Opera Atelier. Stage director Jennifer Parr, who also directed Pandora's Locker, will once again be in charge of this hybrid concert version with some staging around the orchestra, which will be onstage. The double cast will be made up of The Glenn Gould School Opera Division students and will feature Wallis Giunta (who impressed as Pandora in December) as Dorabella. Other cast members who also appeared in Pandora's Locker include Sean Catheroy as Guglielmo, and Adam Bishop as Ferrando. Taylor Strande and Michelle Danese will be alternating in the role of Despina. The GGS Opera is a distinguished diploma programme that offers superb training in performance to gifted singers from across Canada and from all over the world. Free events at The RCM continue with Canadian master pianist Anton Kuerti, who will give the last lecture in his 5-part lecture series on Beethoven's Piano Concertos on Friday, April 2, at 2pm, and award-winning composer Brian Current (who conducted Pandora's Locker) will lead The GGS New Music Ensemble in contemporary classical music repertoire on Friday, April 17, at 12pm. frequently performs as a duo partner with cellist Bryan Epperson. Atis Bankas has appeared as soloist in the former Soviet Union, Europe, U.S., and Canada, as well as with many distinguished orchestras under Paavo Järvi, Iona Brown, and Sir Andrew Davis. Both Atis and Dianne are long-standing faculty members of the RCM. The newly formed Luis Mario Ochoa Quintet will present one of its first concerts as part of the World Music Concerts series on Thursday, April 23, at 7:30pm. Havana-born, Toronto-based, Luis Mario Ochoa is a guitarist, vocalist, composer, arranger, bandleader, and music producer. In 2007 he was nominated for the Canadian Latin Jazz Artist of the Year. His quintet is comprised of the acclaimed Cuban pianist Hilario Duran, Jorge Torres on congas, and a dynamic rhythm section of bass and two percussionists. This special concert will showcase songs from their latest CD, Momentos Cubanos: classic Latin American songs ranging from rumba to samba, bolero to waltz, son to cha-cha, and a very impassioned vocal interpretation of Ernesto Lecuona's timeless ballad Siboney. All events take place at the Conservatory's new home, the TELUS Centre for Performance and Learning, 273 Bloor Street West. More information about the 2008-2009 Concert Season is available on The Royal Conservatory website at www.rcmusic.ca.